Die-cast pill crusher pulverizes even the hardest tablets with very little effort. Heavily chromed components and stainless steel fittings to prevent corrosion. Rarely needs cleaning because pills are crushed between two standard 3/4-oz souffle cups. 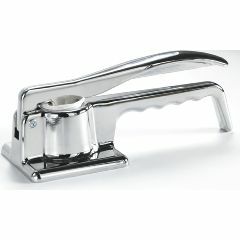 AllegroMedical.com presents The Die Cast Chrome Pill Crushers. Die-cast pill crusher pulverizes even the hardest tablets with very little effort. One hand operation. Heavily chromed components and stainless steel fittings to prevent corrosion. Rarely needs cleaning because pills are crushed between two standard 3/4-oz souffle cups.